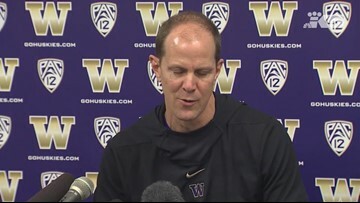 UW men’s basketball coach Mike Hopkins on inspiring his players during the NCAA tournament. 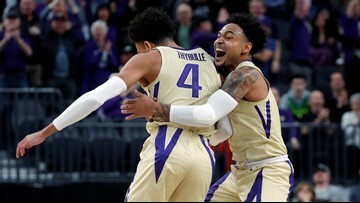 The Huskies have returned to the NCAA Tournament for the first time in eight years. Payton Pritchard scored 16 points, Paul White added 10 and Oregon ended Washington's chance at a perfect home record with a 55-47 win on Saturday night to close out the Pac-12 regular season. 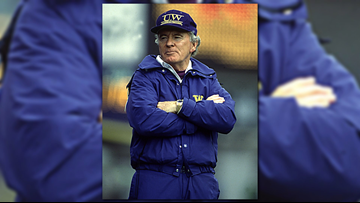 Mike Hopkins decided not to show his Washington players any video from their ugly loss at California that began a tough Bay Area trip. No need — everybody knew. In a season full of disappointment, California found something to celebrate. 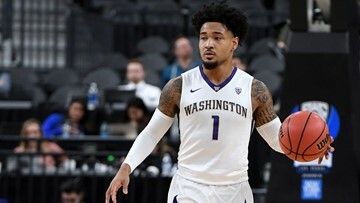 Noah Dickerson tipped in a missed layup from Jaylen Nowell with 25 seconds remaining and Washington defeated rival Washington State 72-70 on Saturday night. 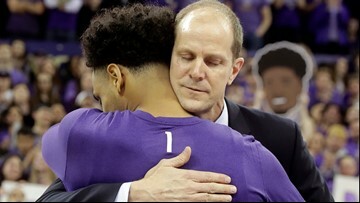 David Crisp scored 17 points, Matisse Thybulle added 15 and Washington remained undefeated in Pac-12 play with a 67-60 win over Arizona on Thursday night. 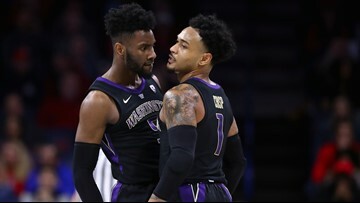 David Crisp and Jaylen Nowell both scored 15 points, Matisse Thybulle added 14, and Washington finished the first half of Pac-12 Conference play unbeaten after a 69-55 win over UCLA on Saturday. Nahziah Carter saw the nation's leading shot-blocker moving to protect the rim, but he still drove the lane and elevated.